Having copied and renamed several of the resources, now it's time to move some resources around. JanesOtherFolder and its file will be moved to be a sub-folder of the original folder JanesFolder. 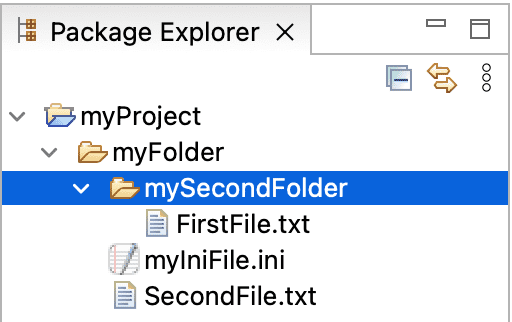 In the Project Explorer view, select JanesOtherFolder. 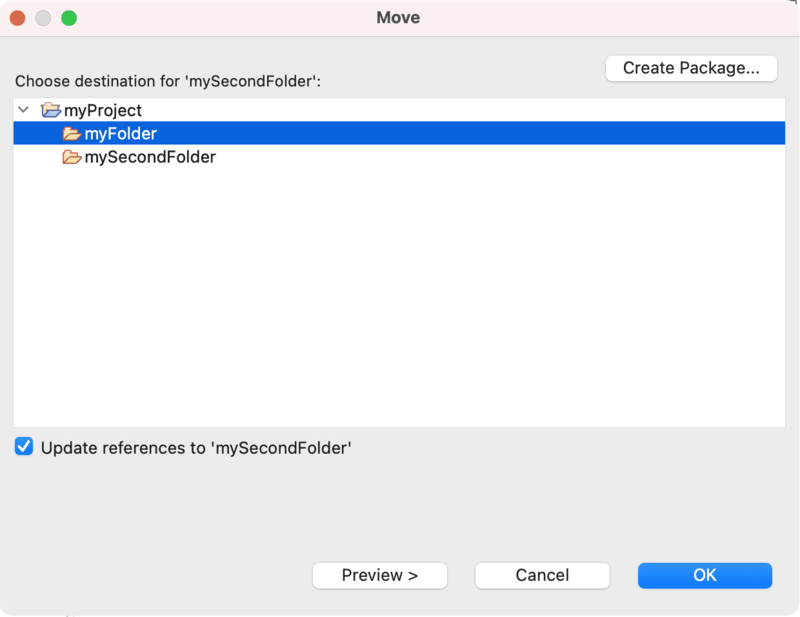 From the file's context menu, select Move. In the Folder Selection dialog choose JanesFolder and click OK. In the Project Explorer JanesFolder now contains JanesOtherFolder. Expand JanesOtherFolder and confirm that it contains JanesText.txt.